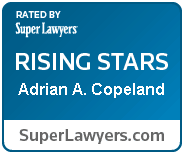 Adrian Copeland’s practice is unique from many other personal injury attorneys. Her clients aren’t just a number to her, they are real people with families and individual backgrounds and needs. She takes the time to understand what makes every person different, how their case is one-of-a-kind, and what matters most to them before building a litigation strategy based on obtaining results that serve them best to aid their recovery. She has advocated for and represented injured clients in West Michigan for over 15 years and works out of our Grand Rapids office. Prior to joining Sinas Dramis Law Firm as an attorney, Adrian worked at Dale Sprik & Associates, one of the largest and most reputable personal injury firms in Grand Rapids, and is deeply committed to the community. Our firm first recognized Adrian’s exceptional skills when she was attending law school and concurrently working for the firm as a law clerk. 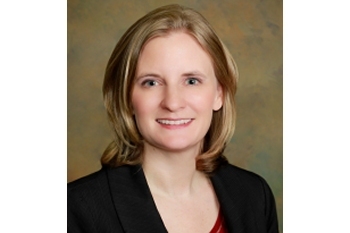 During her time as a clerk, she worked extensively with many of the partners and seasoned attorneys at Sinas Dramis, quickly gaining a knack for personal injury law. She is not only a brilliant litigator but an approachable attorney who instantly builds a rapport of trust and confidence with her clients. Adrian has extensive experience litigating motor vehicle accidents and semi-truck collisions to successfully handling premises liability, dog bite claims, and product liability. As a member of the Sinas Dramis Michigan auto accident team, Adrian commands a comprehensive understanding of the state’s intricate auto no-fault law. She uses this expertise to successfully advocate for those injured in auto-related accidents in West Michigan and across the state and tirelessly fights for their rights to the care and services they deserve. Most importantly, Adrian believes in developing a personal connection with her clients. She understands that every client deserves someone with experience, dedication, and compassion for the physical and emotional issues they may experience after a serious injury. What sets Adrian apart is that she is a strong advocate for her client while also maintaining a friendly, compassionate, and caring relationship. Primarily practicing at the firm’s downtown Grand Rapids location, Adrian is a member of the Grand Rapids Bar Association, Michigan Association for Justice, and The National Trial Lawyers. Adrian enjoys spending time with her husband and daughter as well as extended family and friends. When not working, you’ll likely find her outdoors.